Texas British Shorthair Rescue View other British Shorthairs for adoption. If you love the looks of the Khao Manee, that blue eyed, white breed from Thailand, you'll love this guy. He's BIG, loving, gentle and has good house manners, and would be fine in a home with other cats, cat friendly dogs and kids. He's also a bit of a talker. 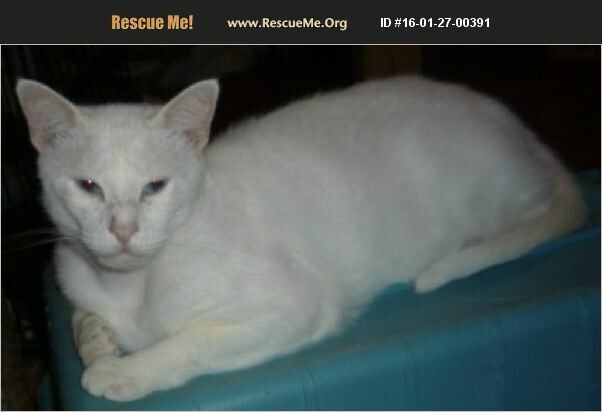 This 2-3 yo kitty is felv and fiv negative and the donation is $95. cash. Want an inkteresting pair? Our black boy, Silty, would do well with him. If you are interested in adopting this pet, please email us for an application. Out-of-state adoption fees may vary. We do not ship animals. Adopters must come to get their animal and accompany it back home.